We are renovating our 1930 house for 5 years now, and the kitchen was one of our first projects. We still find this project our favorite ever because of the result, but when we renovated the kitchen we didn’t pay attention to any isolation issues. 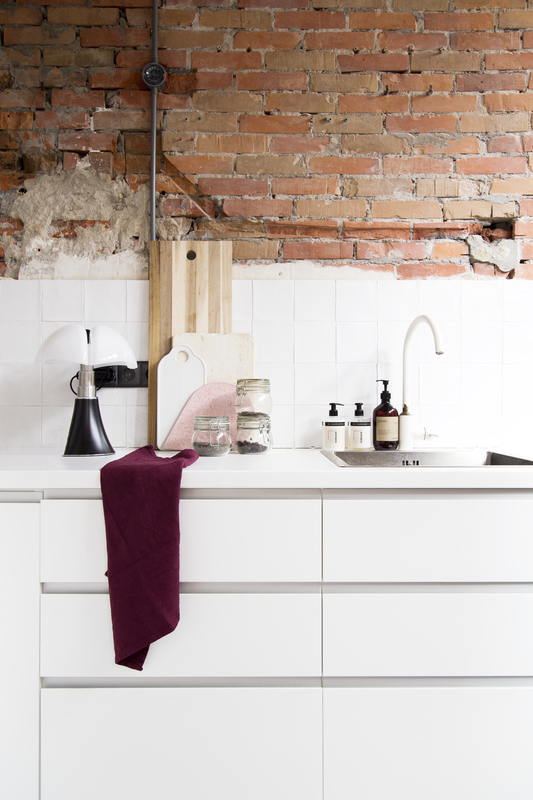 We simply removed the old kitchen, drilled the brick wall and put in a new kitchen. We didn’t do anything to isolate our house better up until 3 years ago, and we’ve gotten to the point where our kitchen needed some work as well. We had a beautiful dark green ceiling (see HERE) but we removed it so we could isolate it. 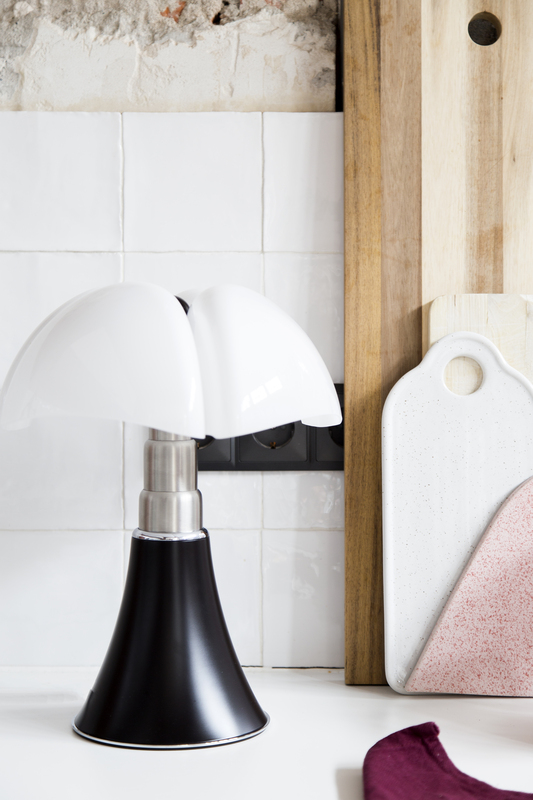 Long story short; we still need to finish it, which means we don’t have proper lighting in the kitchen and it caused me to grab the nearest table light available and it was this gorgeous Martinelli Luce Mini Pipistrello we just got. Because let’s be honest; there’s nothing more annoying then having to work without proper lighting. 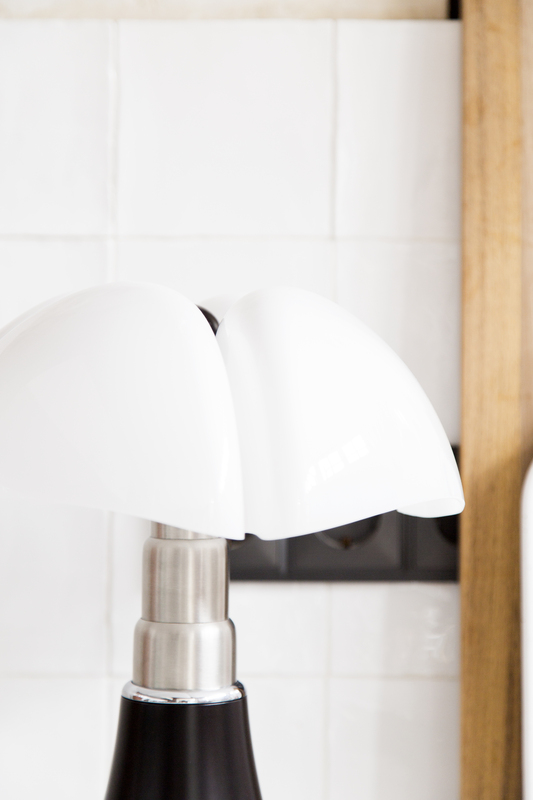 This Pipistrello light is one of the latest design additions to our home and I love it. I’m a sucker for all things design and this has been on my wishlist for a long time. We actually got it for our living room, so I will definitely show you it’s next spot here on the blog as well. I love the design of this light, it makes you want to come closer and have a better look at it. I loved it even more when I learned that the design was inspired by bats. 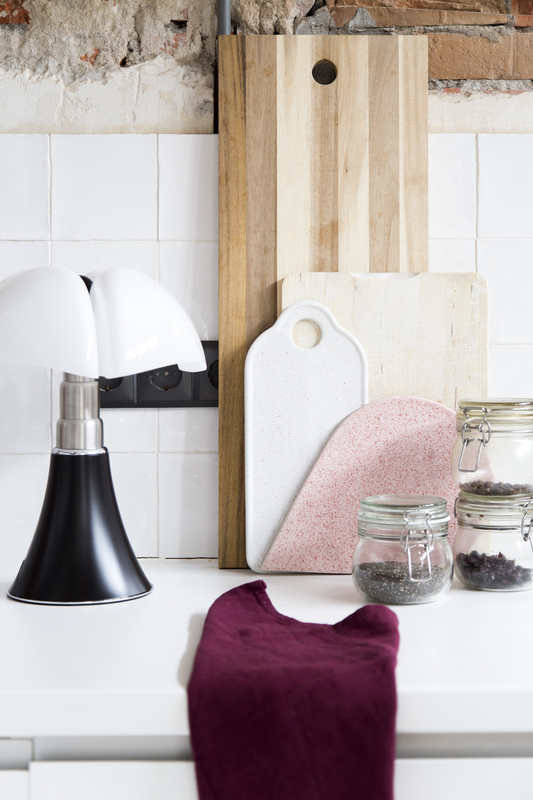 Not that I’m particularly fan of bats, but I don’t know – it just seems cool that you would design a lamp with a bat in mind. The light coming from it when you turn it on is gorgeous as well. My husband even called it “romantic”, because it’s a very soft focus, warm kind of light. If you look at the top of this light, you can see the bat reference very clearly. Another thing I find really cool is that this color is actually dark brown. Weren’t we all thinking it would be black? The dark brown color makes it a little softer than a black version would be. And one last thing I love; the name. Pipistrello. It might be because Italy is my favorite country ever, but that just sounds so pretty. PS. This post is written in collaboration with Flinders. I only work with brands/shops I love.